Albert, thanks for the ride on your sailboat. It reminds me of my winter home in Fort Myers. I really miss that. My pleasure Tom. 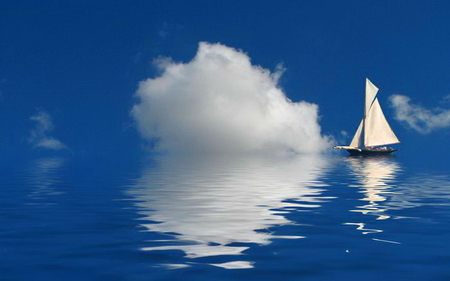 Sailing always relaxed me when I had some deep thinking to do. Speaking of deep thinking, I must tell you Al, I never could understand your theory of light thing, with the speed of light as a cosmic speed limit; and time being variable. Wow, that really bent my brain! It’s just the way the math worked out-no big thing. You know … we both had our fling with light-my theory and your light bulb experiments. What patience you had with all the filament experiments performed. Well I was much younger then and eager to make a mark for myself. You were no slouch yourself with those four incredible scientific papers you published in 1905. Al, you changed the world of physics. Let me see if I remember what those papers had to do with … your special theory of relativity, the photoelectric effect, that famous equation of yours [E = mc2] and something called Brownian motion. Those papers are all brain-busters my friend! Let me compliment you as well Tom….with your inventions of recorded sound, motion pictures, the electric light and the electric utility system; and you taught the commercial world about the steps for creating new products without limit—the invention factory concept … which led to R&D labs in every major company today. That is real, economic growth. I must comment here Al. All your theoretical work laid the foundation for solid state physics—leading to transistors and integrated circuits. Some folks call you the father of solid state physics, what drives our Internet, telecommunications, and smart phones today. And this also is big-time economic growth. We both had some great fun didn’t we? I wish we could do it all over today. You know Al, we should open a little shop up here in the cloud-do some tinkering and inventing; maybe come up with some new theories. You had some inventions of your own as I recall. We could team up with the theory and practicality-making folks stand-up and notice we old dogs on the block. Sounds like fun, but there must be time to sail. Absolutely, and time to read and research. What will we call this little shop? Wait for it Al … ”Inventions at the Speed of Light”. You always did have a way with words! How about we do a nice webpage, featuring a monster “selfie” photo of us, just like the modern celebrities do? I can picture that….but first I have a question. You were always good at anticipating the future, where technology would go. You nailed that electric vehicle application, anticipating it over 100 years ago. What do you see in the next 50 years? Al … I need to think that over for a couple of days. I can tell you this … it is going to be very interesting! One last thing Tom, maybe we should try and contact that Michael Faraday fellow we both admired. Get him to join us. Michael was a fine experimentalist. I agree. His electric motor invention rocked my world I can tell you that. He had a big influence on my thinking…my kind of guy! Al, let’s do our “selfie” photo now so it’s ready for the new webpage. 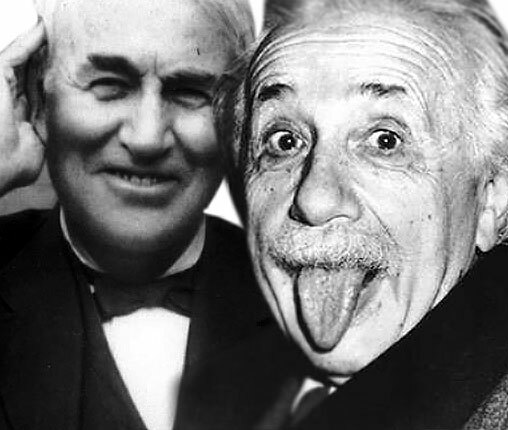 Thomas Edison and Albert Einstein both had great vision which enabled them to see and predict future developments in Technology and Mathematics. Teachers get double credit cards if they use their Amazon purchases for the class room. Contest is open to all readers and visitors to our web and social media sites, i.e. 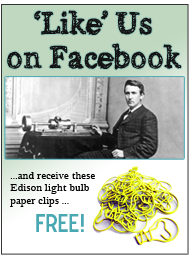 www.ThomasEdison.org, www.EdisonMuckers.org, www.Pinterest.com/thomasaedison and www.Facebook.com/thomasedison. 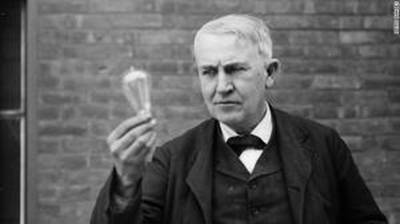 Send your predictions to Edison Innovation Foundation at info@thomasedison.org, before Oct 31, 2014. Winners will be notified directly and their names posted on our blog. This entry was posted in All About Tom and tagged albert einstein, thomas edison on September 23, 2014 by Edison Innovation Foundation. 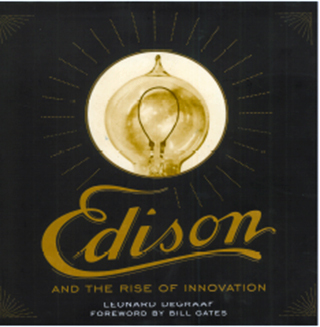 “Edison and the Rise of Innovation” is a collaboration among the Charles Edison Fund and Edison Innovation Foundation, Sterling Publishing, the National Park Service and is written by veteran author, Leonard DeGraaf, archivist at the Thomas Edison National Historical Park in West Orange, New Jersey. On September 25 (Wednesday), the book will be available in Barnes & Noble books stores and on their web site at www.barnesandnoble.com. This important new book already has a very big fan, Bill Gates, who penned the Foreward. People know Edison for his 3 major inventions, the electric light bulb and the power industry, the phonograph and the motion picture camera, but the great inventor also was a brilliant entrepreneur who knew how to bring his innovative ideas to the marketplace. 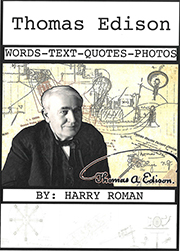 Over the course of his long career, Edison organized and managed dozens of manufacturing and marketing companies. In the process of adopting new production and sales strategies, he helped create a mass consumer market in the late nineteenth and early twentieth centuries; and also branding himself in the process. From his modest roll-top desk in his invention factory office/library, Old Tom routinely managed about 40 new product development teams and 30 companies that supported his operations and sold his products. If that is not an operational definition of an innovator, what is! The crisp text and explanations by Author DeGraaf are fun to read and the photos in the book are illuminating. This book is a keeper. You STEM teachers out there…make sure you get a copy in your school library or for your classroom. Edison is the “STEMeister”, the taproot of team-based, multidisciplinary problem solving. A copy of the book can be purchased now on Barnes & Noble website. This entry was posted in Did You Know? and tagged Bill Gates, Edison and the Rise of Innovation, Leonard DeGraaf, thomas edison on October 24, 2013 by Edison Innovation Foundation. 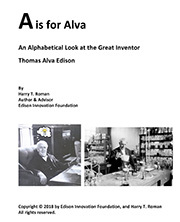 This entry was posted in All About Tom and tagged birthday, Edison birthday, Edison Only Links, happy birthday, Thomas Alva Edison, thomas edison on February 7, 2013 by Edison Innovation Foundation. 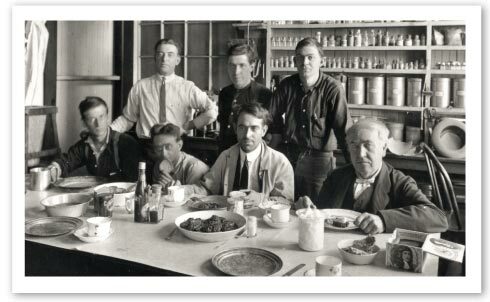 In pioneering his invention factory concept, transforming invention from a cottage industry into a commercial powerhouse for new product development, Thomas Edison crafts the important corporate position we know today as project management. This key position in most companies belongs to men and women who know how to transform raw ideas into new products, using powerful team-based activities and coordination. Many project managers handle several projects at once, probably in related technologies, so as to maximize potential synergy between them. It was not unusual for Edison to have 30 or more projects proceeding simultaneously, cross-pollinating his ideas, and observations. To accomplish this, Edison used a variety of techniques as discussed below. 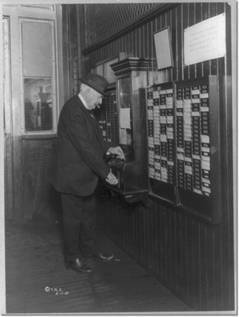 Thomas Edison clocking in another 90 week! Tom worked as hard or harder than his teams, often putting in 90 hours a week of work. No one could accuse “the old man” of goofing off. Creative tension was inherent in all work as Edison urged his teams to invent something minor every 10 days and something major every 6 months. New technological and scientific advances were quickly exploited in the labs as his teams tried to create something useful from these breakthroughs. 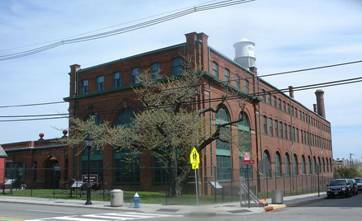 A key resource was the massive company library-where Edison kept his business office. There, 20,000 volumes contained the great scientific and technological achievements of the day, the raw materials for further innovations. His inventors always had access to new information and plenty of raw materials to support their work. 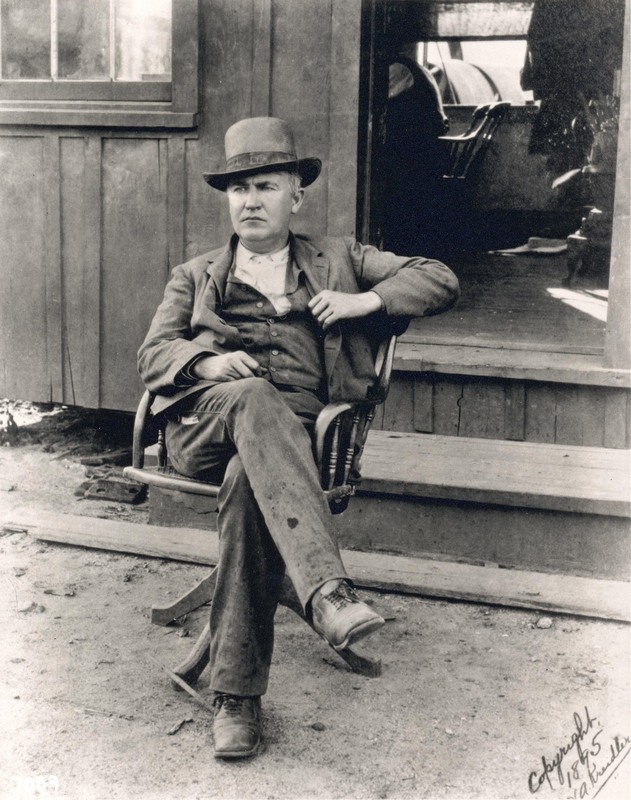 Edison often boasted he could make anything from a woman’s watch to a locomotive in his shops. His large storeroom contained just about everything his inventors would need. To keep projects on track and new products on schedule, the great inventor used timelines, critical path analysis techniques, and exploded parts diagrams to show how assembly should be done in his factories. This was completely consistent with the rise of industrial efficiency models of the early 1900s. Tom and his “insomniac squad” having a meal after an all-nighter. This all worked quite nicely, as the 250 employees who manned his invention factory, including team leaders, technical experts in physics/chemistry/engineering, and craftsmen produced enough new products to keep over 10,000 employees busy producing and shipping his products all over the world. All this productive activity occurred on about 20 acres of real estate. It was this tremendous leverage he achieved between R&D, new product development, and economic stimulus that propelled many of the nation’s then nascent corporations to develop project management directed R&D organizations-most of which were established between 1895 and about 1920. 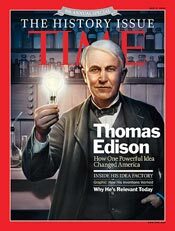 Edison had set the pace and path for economic progress, a paradigm we and the world still follow faithfully today. 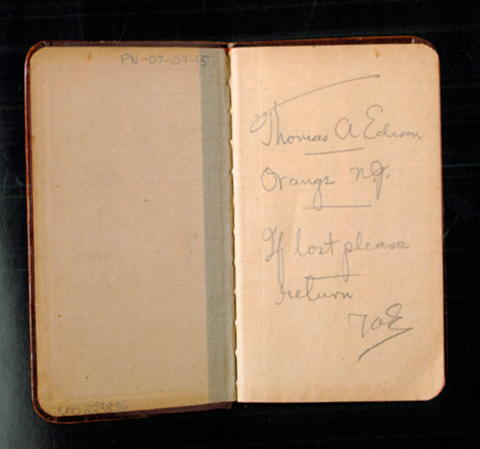 This entry was posted in All About Tom and tagged Project Manager Extraordinaire, thomas edison on October 9, 2012 by Edison Innovation Foundation.